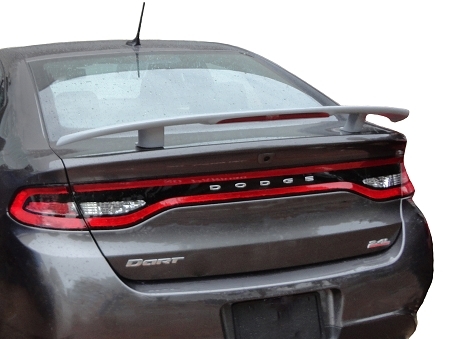 THIS SPOILER REQUIRES A TRAILER WIRE KIT IN ORDER TO HAVE THE 12 VOLTS NEEDED TO POWER THE LIGHT ON THE SPOILER. THIS IS THE ONE WE HAVE USED AND IS SPECIFIED FOR YOUR DODGE DART (Tekonsha Custom Fit Vehicle Wiring - 118568) AND IT CAN BE PURCHASED FROM ETRAILER.COM. Requires only minor drilling into your trunk lid Includes all necessary mounting hardware and instructions.